Ann Schiele, PhD, RN, a visionary in nursing education whose dedication and leadership have inspired the careers and lives of everyone at Mount Carmel College of Nursing. 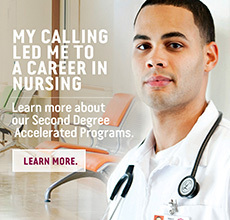 And, whose guidance has made Mount Carmel College of Nursing one of the largest nursing programs in Ohio. In July 2014, Dr. Schiele transitioned to the position of President /Dean Emeritus. To honor her vision, her work ethic, and her commitment to excellence in nursing education, the Mount Carmel College of Nursing Board established the Ann E. Schiele Presidential Endowment Fund. Dr. Schiele’s commitment to the highest ideals of nursing has truly made a difference in the lives of students, professionals and the patients we serve. And now you can make a difference that will touch the lives of the nurses of tomorrow and carry forward Dr. Schiele’s work. You are respectfully invited to share in Dr. Schiele’s legacy by making a gift to the Ann E. Schiele Presidential Endowment Fund.